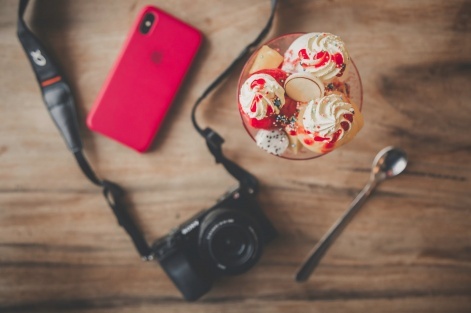 In a world where celebrity chefs are the new rockstars, it’s no surprise that foodie influencers have very much turned into a ‘thing’. 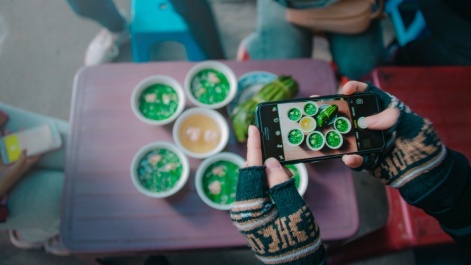 Good grub has always been a social glue and the rise of visual social networks have made it easier than ever to share what we’re having for lunch. Don’t be surprised if you spy an artfully arranged granola bowl go viral: recipes, tips, trends, products and beautiful plates of food are some of the most-shared content on the app. Which makes it a good time to be a food brand - or in this example, a food delivery service. We might well be the most food-conscious generation there’s ever been, but we can also be lazy and impatient. Enter the recipe box delivery service. There are a string of them popping up, posting fresh ingredients with accompanying recipes, all weighed and measured for you, at the click of a button. The biggest is arguably HelloFresh, which sends weekly recipe kits to busy professionals and families. The company work with a range of influencers, including jetsetting vegan food blogger Emilie Hebert (who shared this sponsored post on her Instagram) and multitasking mother-of-quadruplets GardnerQuadSquad (see her Hello Fresh ad here). It’s not just family and food bloggers the brand collaborate with, though: male models such as Taylor Phillips and beauty bloggers such as Jessica Franklin have both recently shared paid promotions with the company. According to Hello Fresh, the customer base is between 30 to 50 years old and 80 per cent are women. The main goal of the brand’s influencer marketing campaigns are to showcase the convenience of the product to busy people who care about health and nutrition. The company want to reach a wider audience and raise brand awareness with personal, authentic collaborations. 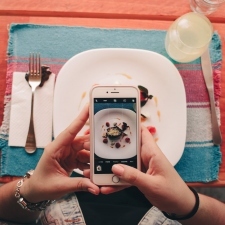 It also provides influencers with a unique promo code to give special discounts to their followers and increase sales of meal kits. Many of them even got an apron - an extra personal touch, cute gift and genius advertising ploy. HelloFresh invest heavily in influencer marketing - it’s a core part of their lead generation strategy. It reaches out to a range of different high-profile influencers to create content in their own signature styles, with their own particular pain points (Emilie couldn’t be bothered to cook on-the-go, GardnerQuadSquad wanted easy, quick meals to ease new-mum-multitasking). In addition to supplying influencers with promo codes, the brand also asked them to share branded hashtags such as #freshfriends and #hellofreshpics and encourage Instagram users to do the same. Let’s start with the promo codes (take note, food brands). Not only did dishing these out to influencers mean they could offer something of value to their followers (very important), it ultimately meant that HelloFresh could track the effectiveness of each specific influencer partnership. Vital data which will help the brand choose whether it’s worth investing in an influencer again in the future. By asking food influencers to tie in their own stories and lifestyles showing how the product solved their problems, the brand succeeded at promoting its delivery boxes in a real, authentic way. Pretty much every influencer used the #hellofreshpics hashtag, which has over 150,000 posts on Instagram from a range of users. Many of the influencers are also wearing a HelloFresh apron - fully immersing in the product, not simply throwing the logo into a corner of a flatlay or tagging the brand’s handle, which is testament to the brand loyalty these influencers have. Mandy Moore: Naturally, paying big bucks for a famous singer and actress is going to do wonders for your brand rep. This post had over 29K likes and over 300 comments. Gardner Quad Squad: When you have four small humans to care for, meal delivery kits are genuinely a life-saver. As we can see in this authentic post (complete with a 50% off promo code). 6K views, 30 comments (many of those saying they’ve used the code - result). Taylor J Phillips: Fit, healthy model uses HelloFresh? Consider us sold. Almost 14k likes and 100 comments - see the post. Jessica Franklin: @heygorgess posted this video fizzing with enthusiasm for the product, with a familiar tutorial-style run through of the product. Over 9K likes and 31 comments - one of those saying “First of all you’re hilarious. Okay so I’ve been debating between this and blue apron. I trust you and so im gonna go with @hellofresh”. The power of influencers, right there.